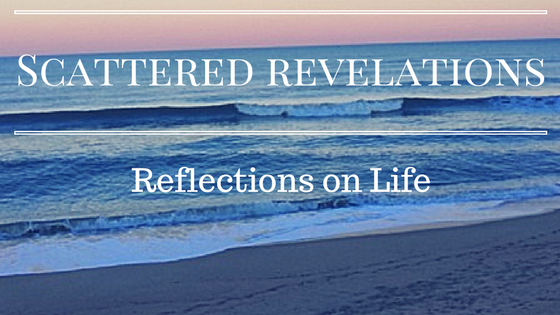 Scattered Revelations: When Diving Deep Who Do You Ask to Help Guide the Journey? When Diving Deep Who Do You Ask to Help Guide the Journey? Over the course of my adult life I have been blessed with many professionals who have helped me to dive deep into my life. I have worked with great and not-so-great therapists, career counselors, spiritual directors and now I can add coaching to the list. Each of these people has brought different gifts and techniques to help me dive deeply into who I am and who I am becoming. While there seems to be a common purpose - at least as far as my own experience goes - each has a unique focus. They are not interchangeable and one might need more than one at a time. So if I am wanting to dive deep but need a guide who do I choose? My first diving was into therapy. I first went into therapy at my parent's insistence in high school. It was not helpful. First rule of any of these relationships is that you have to want to do the work and you have to like the person you are working with. That is true of a therapist, a coach, a spiritual director. No one in any of these professions can help you if you don't want it or you don't like who you are working with. In college I did better. After another mis-match with another male psychiatrist (no bashing of psychiatrists but my own experience is that they are not great therapists and gender makes a difference), I found a wonderful woman psychologist. Therapy, and I have since worked with two others, is really about understanding your mental and emotional self. It is really about the past. What are the events, family members, family systems that have contributed for good and for ill (although often the focus in more on the ill) that have shaped your present reality - again for good and for ill (but you wouldn't be there if it was all going swell!) Therapy is great for understanding oneself in one's family of origin. I come from a family that included an alcoholic parent and have witnessed the struggle of other family members with addiction. Therapy helped me understand the affect of that on me and who I am. I struggled with my relationship with my family and mild to moderate depression so therapy helped me sort that out and understand myself more deeply in terms of my family system. It was at Georgetown that I had my first spiritual director. While I had always consulted on and off for years various parish priests and religious leaders for advice and pastoral care, it was not until college that I had experience of a spiritual director. Spiritual directors focus on your spiritual life and your relationship with the holy. My first spiritual director was over a 5-day silent Ignatian retreat. My director taught drama at Georgetown. I met with him daily and we would talk about my prayer life and the particular Ignatian exercise the group was doing. It was a powerful experience. I have been privileged to have a number of spiritual directors over the years. Sometimes for very short focused periods like on that Ignatian retreat. Others I have had longer relationships with. Always the sessions begin with prayer and focus on my relationship with the sacred. Certainly spiritual direction will also touch on real lived experience so incorporating everyday issues or difficult situations/relationships will come into play and definitely questions of vocation and call will be explored but the focus here is on spiritual discipline, practice and my relationship with the holy. I have worked with directors of various religious backgrounds and materials have included the Hebrew and Christian Scriptures, books from religious writers, Tarot cards and dream work. Most recently I entered the world of coaching. My coaching work has centered on job searching. Coaches focus on the present and the goals you set for living a better, more fulfilling life as you define it. I have really valued the goal centered, directed way my coach Dave Kaiser works with me. I have homework after each call. I get great feedback and all of it is about reaching my own goals or even changing the goals if the first ones don't work. Dave is an Executive Coach. I first encountered Dave on a Georgetown Alumni webinar, The Power of Magical Thinking. I was hoping to energize my job search and was looking for a coach. I asked Dave about his experience in working with people with my background of non-profit, faith professionals and he had experience. One thing about working with someone who usually works with for-profit professionals is that he doesn't bring all the pre-conceived baggage that I carry from the non-profit world. For example, I was given an opportunity to interview for what I thought would be a great fit for me at a college. The position had all the right pieces and I was excited about the possibility. When they asked me to interview they told me the salary. The salary was a good $20,000 below my expectation/need. With Dave's coaching I went back to them to try and find a way to bridge that gap. Unfortunately they wouldn't budge but the experience of not just accepting the too-low salary or walking away entirely, gave me an entirely new perspective on myself and the value of my skills and experience. The work of therapy, spiritual direction and coaching obviously intersect. I am currently in spiritual direction and work with a coach. Since vocation has been top of my concern list, there is overlap for me in working with both but there is distinction. My spiritual direction focuses on my prayer life, on my spiritual practice. Dave may assign me to take something to prayer (knowing that is important to me) but his focus is on the practical work of helping me live out my vocation. My work with Dave focuses on what type of work I want to be doing, how I both deepen my current network and expand it in order to move closer to what is next, how I get myself in front of an organization before there is a position open, and/or how I open myself to possibilities not yet examined. Because of that last task, I am now beginning to embark on the journey of working for myself, having a more portfolio career (more on that in my next post! ), now the work focuses on the concrete steps I can take to make it happen. Perhaps, most importantly, all along the way Dave has encouraged me and given me pep talks while still helping me to be realistic and grounded. Who have you asked to guide you on your journey? Are you thinking about asking someone, what is it you are looking for?